Watch the video and learn the 6 signs you have, or don’t have, self-love. Then make a promise to focus on the places you need love the most, from yourself. After researching and experimenting to find the answer to “How do i love myself? And how do i know if I am doing it or not?” I’ve found there are 6 key signs – “self-love signs” – that will show you the ways in which you are, and the ways that you are not. Yep, most of us don’t even know what the signs are that we need more love from ourselves, so you can’t diagnose or more importantly treat yourself with the medicine you need … until now. The 6 signs that you are loving yourself … or not. Settling in your life in any way for less than your heart and soul desire? Playing small. Letting fear stop you. Sacrificing your dreams. Procrastinating. Listening to conventional wisdom instead of going for the life your heart and soul are craving. PROMISE YOU NEED: I never settle for less than my heart and soul desire. In relationships that don’t support you or fully honor you? You have relationships that drain you or degrade you, dishonor you in anyway. Hold on to friends, lovers, clients that arent supporting you to grow or be your best self? Lacking the kinds of friendships or the number of soul family you have around you? PROMISE YOU NEED: I only have loving respectful relationships. Being hard on yourself. You criticize instead of appreciate yourself. Put pressure on yourself. PROMISE YOU NEED: I am gentle, kind and compassionate with myself, always. Treating your body poorly – Neglecting it. Treating it like a workhorse or slave. Being mean to it. Hating on it. Instead of adoring it. Treating it like a temple. Even with wrinkles and cellulite. PROMISE YOU NEED: I treat my body like a sacred temple. Over giving to others, not taking care of yourself, cuz you are taking care of everyone and everything else? You know it. Enough said. PROMISE YOU NEED: I take care of myself first, without guilt. Sacrificing what you really desire, because you are afraid of letting others down? PROMISE YOU NEED: I stay true to myself even if that means disappointing another. 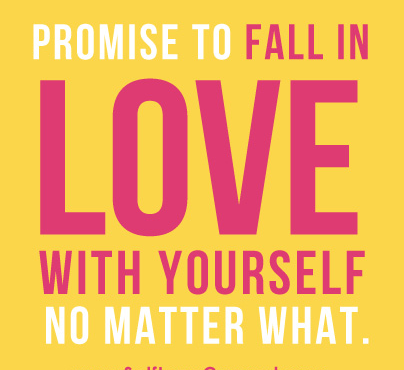 Okay, now it’s your turn to choose one area of self-love and take ONE promise that will help you give yourself the love you most need this year. Write the PROMISE down here as an act of taking it and committing to it. And then share with me one small but mighty act you will take to keep this promise this week. Now your turn… post here. And then remember to join us for a year of love – www.JointheLoveClub.com — I’d love to support you to choose love for yourself. This entry was posted in Self-Worth, Uncategorized on March 1, 2015 by Christine Arylo. Where you pushing yourself too hard… and creating unhappiness for yourself? Watch the video and reset your expectations – what would be enough?? You have a goal. Something important to you. Something you said yes to creating, doing, achieving because you believed it would make you happy. And so you go on your way to making that goal a reality, and then something shifts. You realize consciously or maybe not consciously that to reach said goal, you are going to have to push yourself to make it. Work hard. Cancel dates. Put pressure on yourself. And the thing you were doing to make you happy is now making you unhappy. I’ve been doing this all week with my upcoming book about reforming Inner Mean Girls – pushing myself to get it all done in the next four days even though it’s not due for 6 more weeks. Uh, I think my Inner Mean Girl has been hanging on the couch with me!! The truth is that while there are moments we need to push hard, those should be few and far between. Your main way of operating your life should NOT be pushing yourself so hard. Not if you are working in alignment with what is truly best for you, and what the divine had in store for you. Why does it happen then? You make up these mental pictures or thoughts in your mind about what you should be able to do, and how fast you should be able to do it. And then push hard to get there. But what if… instead of pushing hard and driving yourself to what you think you should be able to do, you stopped, reassessed and did ENOUGH. No more. No less. Just enough. My friend Sam Bennett, who wrote this great book called GET IT DONE – without having to exhaust yourself to do it! – calls this going for the “C” instead of the A++ — which my achiever has a really hard time with. But my Inner Wisdom knows is spot on. To make this work for me, I apply self love and my mantra I AM ENOUGH by asking myself the powerful question,”What would enough look like?” And then I give myself permission to do that. I can’t do the C but I can do ENOUGH! Today I share it with you so you can stop pushing yourself so hard! And reclaim your happiness around the thing you decided to do to make happiness!! 4. And then claim it THAT IS ENOUGH!! I am pushing myself too hard to finish all 9 chapters of my book in the next four days, even though the manuscript isn’t due for 6 more weeks. Enough would look like me having 6 chapters done really well and tight so I don’t have to go back to them. I give myself permission to only complete 6 chapters before I leave my writing retreat, trusting that all will be done in divine timing. THAT IS ENOUGH! 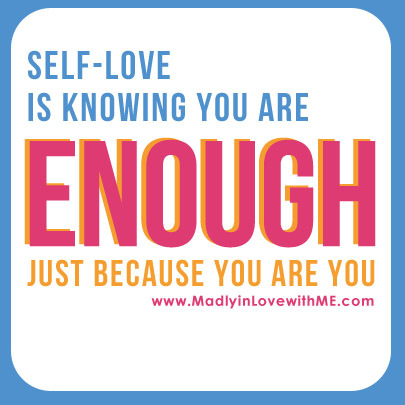 This entry was posted in Self-Care, Self-Compassion & Forgiveness, Self-Worth and tagged christine arylo, creating stress, enoughness, i am enough, madly in love with me, self care, self love, self worth, unhappiness, year of enoughness on March 14, 2014 by Christine Arylo. Two days ago, sitting on a couch talking to one of my soul sisters, Christine Hassler, about this crazy pressure I was feeling even though I was sitting in one of the most serene beautiful places on earth 100 feet from the sea, I had a HUGE epiphany about what is causing you, me and every woman (and man) I know un-needed stress. These two phrases alone I am sure are behind the wrinkles,the extra weight, the facts that 1 in 4 women will die of heart disease, twice as many women than men are on anti-depressants, or the reality that most of us feel overwhelmed and exhausted a lot of the time. So in honor of the international day of women this month, I am saying ENOUGH to this I am not enough b.s. … I am saying NO to Not-Enoughness and declaring 2014 as the Year of ENOUGHNESS. Declare here, right now that You are enough. That you’ve done enough. That you don’t have to pressure yourself to do more? That there are other, more self-loving ways, to motivate yourself? Good! Now that we have that cleared up, What do you do??? Well you start by watching this week’s love letter… I will run you through the short but mighty process I used to identify the big gnarly pressure point causing undue stress on me, and show you how to find your gnarly unnecessary pressure point and release it. Then, here on the blog, release the pressure point by 1. Saying how you are putting this pressure on yourself. 2. Telling the truth AND then 3. Take a stand for being and doing enough right now (in caps!) I will witness you, as if you are right here with me on the couch – making this a year of ENOUGHNESS! I am putting pressure on myself to be out in the world speaking right now. The truth is that I am exactly where I need to be, writing at the sea and talking to people through the internet and phone right now. I AM DOING ENOUGH RIGHT NOW. I AM ENOUGH. I AM DOING ENOUGH RIGHT NOW. I AM ENOUGH. Whoo hoo!! Can’t wait to high five you and your post. This entry was posted in Self-Care, Self-Compassion & Forgiveness, Self-Worth and tagged christine arylo, how do you love yourself, madly in love with me, self care, self esteem, self judgment, self lcare, self love, stop judging myself, stress reduction, stress reduction meditation on March 8, 2014 by Christine Arylo. Watch this week’s love letter to get the 3 simple but mighty C’s for releasing control, taking off the pressure, and breathing into the change. I am writing this post on my last day in beautiful California wine country (well at least for now.) Noah and I are heading back out to be nomadic for the next few months… even though we are not totally sure where we are going to live yet. Exciting and uh also talk about stepping in the unknown and having faith. Brings up all kinds of desires to control, figure it out, find certainty at any cost. While you may not be going nomad, I imagine there are places in your life where there is uncertainty, an element of not knowing. And be honest, doesn’t every bone in your body want to control, figure it out, make a plan, have the answers? We humans love certainty but if I learned anything from Noah’s stroke last July … nothing is certain, we have no real control over the ‘plan’ and trying to control just makes you crabby and critical. So what do you do when you face uncertainty? How do you release control so you don’t get crabby, critical, contracted and stressed out? Well, you transform the pressure creating C’s (control, searching for certainty, contraction) into the grace and freedom creating C’s. You are going to love these – I use them all the time, and they have been a life saver for me releasing control. Watch the video to get the scoop on the three C’s… Connection. Crying. Compassion. And then CHOOSE ONE C you will put into action this week. Post it here and then tell me one small but mighty action you will take. 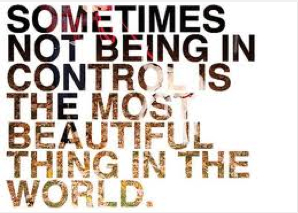 I will witness your choice to let go of control! Me… here’s mine. I choose to let go of control. I choose COMPASSION instead. My action… I will let the universe guide me to where Noah and I will ultimately put down roots in September, by giving up thinking about it for now, and instead allowing it to come. Okay, now your turn… I choose to let go of control (say it!) … I choose (insert your C) … and then post your action. This entry was posted in Self-Compassion & Forgiveness, Self-Worth and tagged christine arylo, let go of control, letting go, ritual to let go, self love, surrender on March 1, 2014 by Christine Arylo.